The First Hundred Days - Miata Turbo Forum - Boost cars, acquire cats. Apart from my own TV station, about the only broadcast media I regularly tune in to is WBEZ-FM. We're fortunate here in Chicago to have one of the flagship stations in the NPR / PRI cartel as our local, which produces a lot of really good original programming, and carries the best of the rest. It's on whenever I'm in the car, in the evenings when I'm flailing like a maniac in the kitchen, and so on. 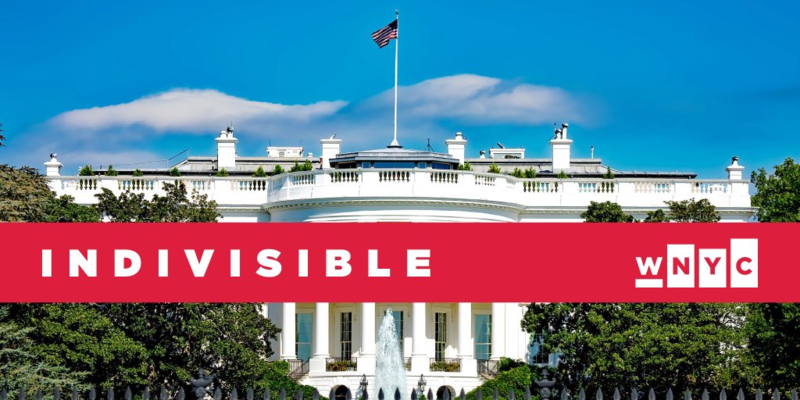 One of the more interesting programs of late has been "Indivisible: The First Hundred Days", which airs at 8pm E / 7pm C. A joint production of WYNC and MPR, it explores issues related to the Trump presidency, and airs four nights a week for the first 100 days of the presidency. The program aims to "…convene a nightly gathering for Americans to talk, debate, and find common ground in the first 100 days of the new administration." And indeed, it has thus far delivered precisely on promise, presenting a mix of scholarly commentary and public forum. Now, a lot of media outlets promote themselves as "fair and balanced" with regard to political coverage. What this usually means is that they give equal time to speakers at the outer extremes of each political camp, with no regard for sane, rational, centrist, non-extremist points of view. Good for ratings (there's something for everyone to disagree with), but not especially helpful at encouraging reasonable discourse. As is often the case with NPR (and NPR-affiliated) programming, "100 days" has done an excellent job at reaching deep into the oft-repressed moderate masses. They do feature guests who are clearly proponents of one camp or another, but always identify them as such, and tend to grill them pretty hard. Moreover, during the call-in periods of the show, they abruptly hang up on people who go off on extremist rants, and have frequently mocked them with such comments as "everyone is entitled to their own opinion, but not to their own facts," an insult levied as often against lunatics in the "massively and irrationally pro-Trump" as in the "massively and irrationally anti-Trump" cults. Now, I'm not an especially big fan of Trump either as a person or as the POTUS. But there is an inherent and unspoken bias in this. The very existence of this program, in and of itself, sends a message. It says that the mere fact of a Trump presidency is so unusual, so aberrant, that an entire 14 week radio series is required in order to explain it. In other words, it tends to de-normalize the idea that Donald Trump is president, as compared to literally every other US president since 1919/20/21, the approximate date at which broadcast radio began (depending upon what you accept as meeting the definition of "broadcast radio.") This interpretation harkens to the cries of SJWs who warn us not to "normalize the idea of President Trump." At this point, I'm not even sure that this concept has a cogent meaning anymore. Joe, I am reposting the above on my political discussion forum. Hope you don't mind. Not a bit. Mind posting a link? I'm curious to see the result. Trump bashing thread Don't mind mididoctors. He's a bit of a loony brit. As you clearly know, I'm pretty liberal. The reason why a program like this actually existing isn't inherently full of bias is that this is unprecedented. He's not a 'regular' candidate. He wasn't favored for by his own party nor was he favored for the general election. So, if you think about it... these are unusual circumstances. It also will get both the pro and anti-trump camps listening. So it's pretty good in terms of making a show for a mass audience, no? Really? Then how did he get the nomination? I thought it was because registered Republicans voted for him in the primary elections? Unless you think the "party" is only comprised of elected officials. Obama said the same thing repeatedly. Blaming GOP officials for nominating him. Get your ******* head out of your asses! Registered VOTING Republicans wanted Donald Trump as their candidate. Period. End of story. Get over it. This is been true for many presidents in our history. The hyperbole is a result of people only having a memory collectively as far back as their own lifetime or less. There is zero historical perspective understood by the shrill voices you are hearing. Remember George W. Bush had less popular votes than Albert Gore. The outgoing Clinton administration staffers vandalized the keyboards in The West Wing, removing the W keys, and stole many items from the White House and from Air Force One on their way out. Divisive? I think so. The commentary said that George Bush stole the election and was not America's president. That is the most recent example I can think of. There have been a total of five presidents in US history who won the electoral vote without taking a majority of the popular vote: John Quincy Adams (1824), Rutherford Hayes (1876), Benjamin Harrison (1888), George W. Bush (2000), and Donald Trump (2016). Interestingly, all* of these were Republicans. Not sure what to make of that. * = Technically, John Quincy Adams ran under the "Democratic Republican" ticket, which is considered the forerunner of the present-day "Republican" party. His opponent, Andrew Jackson, also ran under the Democratic-Republican banner. Election rules were a little vague in the early 19th century. Four years later, Andrew Jackson ran again, this time under the banner of the newly-named Democratic party, and defeated Adams in the eighth-largest popular majority in US history. But we do have an unusual electoral system here. Another commentator posed the following through-experiment: Presume that Texas and Florida are the only two states in the US. 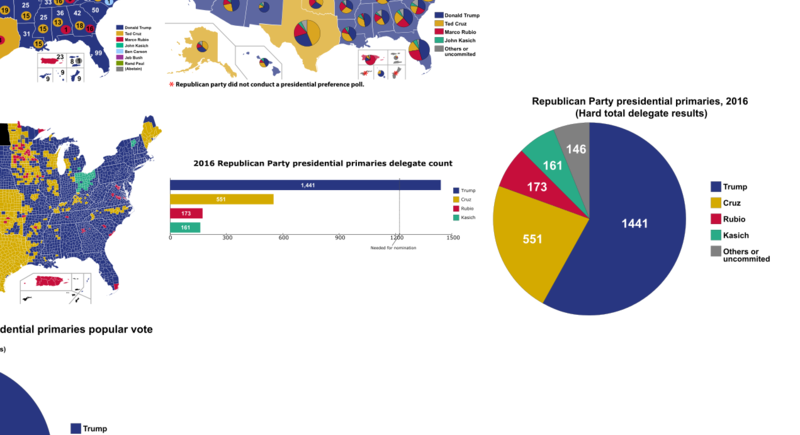 In a presidential election, the republican candidate takes 51% of the popular vote in Texas (pop 27.8 million), and thus carries Texas' 38 electoral votes. Meanwhile, the Libertarian candidate takes 90% of the popular vote in Florida (pop 20.6 million), and earns Florida's 29 electoral votes. What's the fair outcome of this election? What is it, specifically, about Donald Trump which uniquely merits an entire radio programme dedicated to explaining / justifying him to the NPR-listening population of the US? Jesus dude chill the **** out. Dude's been a life long democrat for the most part. Look at all the talking points from his party. And yes, I meant his party as in the private entity of the RNC, not the voters. The republican primary is actually more democratic than the DNC's process re:superdelegates. I was giving reasons why a program like that exists and why it's interesting. I'm not writing a revisionist history of the election. He still has to work with all those talking heads within his own party now, which is further reason why this time period is interesting. Yeah, like Joe said, it's not something that happens often and I think it's notable given the sheer difference in the popular vote as well. At the end of the day, programs survive on viewership/listeners and this is clearly something that has a lot of people interesting. Makes sense they'd capitalize on it. There's also going to be a lot of bs being spewed by both sides of the aisle and I think it's pretty cool that a source that Joe seems to think is relatively objective is going to be offering a viewpoint/synopsis about what's been going on. Since the thread is first 100 days does anyone remember Obama saying [and I paraphrase] my first 100 days will be so efficient I will get them done in 70 days...... and on the 71st day I will rest. Is that some **** I made up in my head or did it actually happen. I can't seem to find the transcript. It's one of those things that make me laugh when I think about Trump and his ego. Can't say Barry was inferior to him in that way. necro thread but still just as amusing today. I just felt the need to point out that trump was not overwhelmingly the winner here, at least in the primaries. just barely less than half of republicans wanted him gone. even after all of this Insanity, fake news, truth, call it what you want, he STILL has an unbelievable following. it just blows my mutherfucking mind.